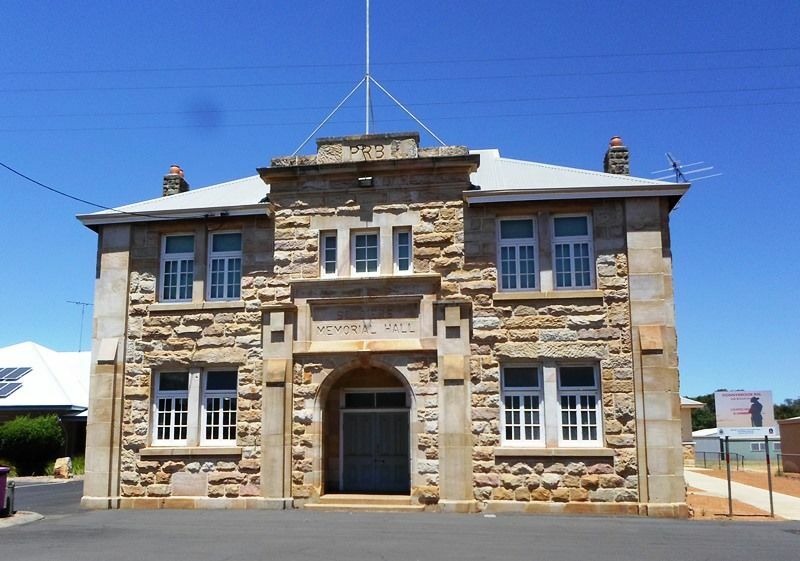 The Soldiers Memorial Hall was erected to commemorate those who served in World War One. Before the outbreak of war in 1914, plans were prepared for a hall and offices. 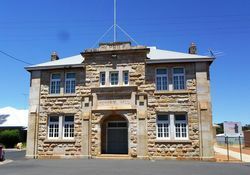 In 1915, ratepayers voted in favour of a proposed loan for this purpose, but it was deferred due to the war and the difficulty of raising finance. In 1919, it was decided to erect the building as a memorial to those who had fought in the war. 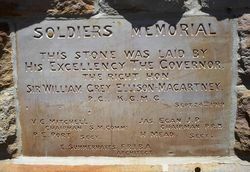 On 24 September, the Governor, Sir William Grey Ellison-Macartney, KCMG, laid the foundation stone. On 13 October 1921, Premier Sir James Mitchell officially opened the Soldiers' Memorial Hall. This stone was laid by His Excellency the Governor the Right Hon. Sir William Grey Ellison-Macartney, P.C., K.C.M.G. V. C. Mitchell, Chairman S. M. Comm. Jas. Egan J.P., Chairman P.R.B.